The Wertheimer brothers' Solow, who flashed his brilliance in 2015 when he captured five Group 1 stakes, has been retired from racing. Sporting Life reports that the 7-year-old gelding by Singspiel had never quite recovered since suffering a leg injury in the spring of last year. 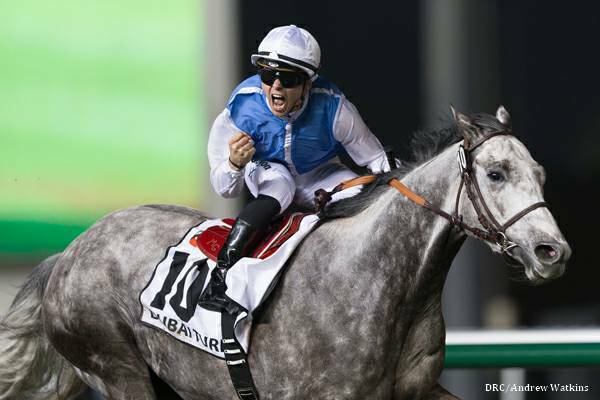 While he missed the entire 2016 season, it had been reported that Solow was currently doing well and was being pointed toward the Group 1 Queen Anne Stakes at Royal Ascot, one of the races he won in 2015. This entry was posted in Racing and tagged Freddy Head, Horse Racing, Queen Anne Stakes, singspiel, solow, thoroughbred, Wertheimer et Frere by Paulick Report Staff. Bookmark the permalink.